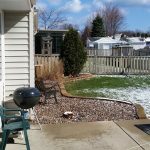 We’ve been providing professional landscaping services to homeowners & property managers just like you in the Greendale area since 2010. Browse our services or contact us to see how we can transform your property today. We service all types properties, so whether your a homeowner or own commercial property, we have you covered. We offer maintenance plans that meet all your needs. Whether it’s weekly, bi-weekly, monthly, or even just for a single project. 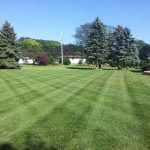 Over 5 years experience in landscaping services & certified to use fertilizer and other chemicals to enhance your property. See our service areas, then let’s start a conversation. Our basic visit consists of mowing, string trimming around all objects & surface areas bordered by grass, then blowing clippings off pavement. During the regular mowing season grass clippings are discharged and not bagged. We use the process of grasscycling which is the practice of leaving these clippings on the turf when mowing. The clippings are primarily water based which quickly decompose bringing Nitrogen into the soil. The aesthetics to your lawn are important to us, and any grass clumping will be addressed with a blower to evenly distribute clippings. 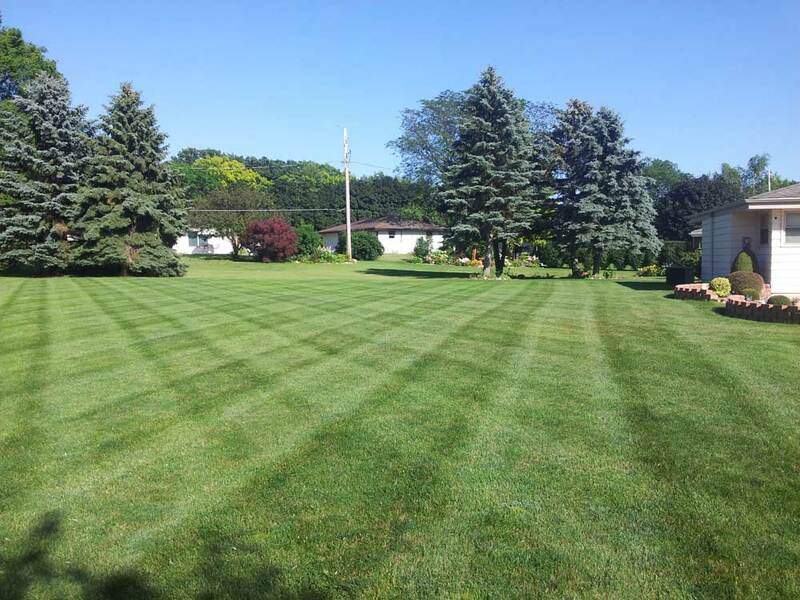 We use commercial mowers for the professional & quality craftsmanship of your lawn. Blades are sharpened daily for optimum cut quality. 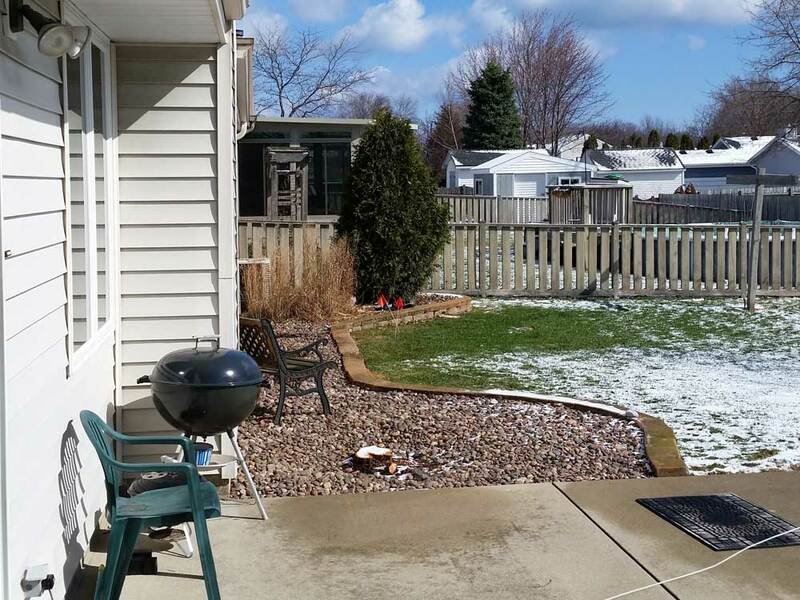 After the harsh winters of southeastern Wisconsin you might find all sorts of debris after the snow melted away. A spring cleanup will help prepare your lawn and garden beds for the season ahead. 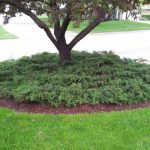 A Spring/Fall cleanup is important to sustaining a healthy lawn and garden. 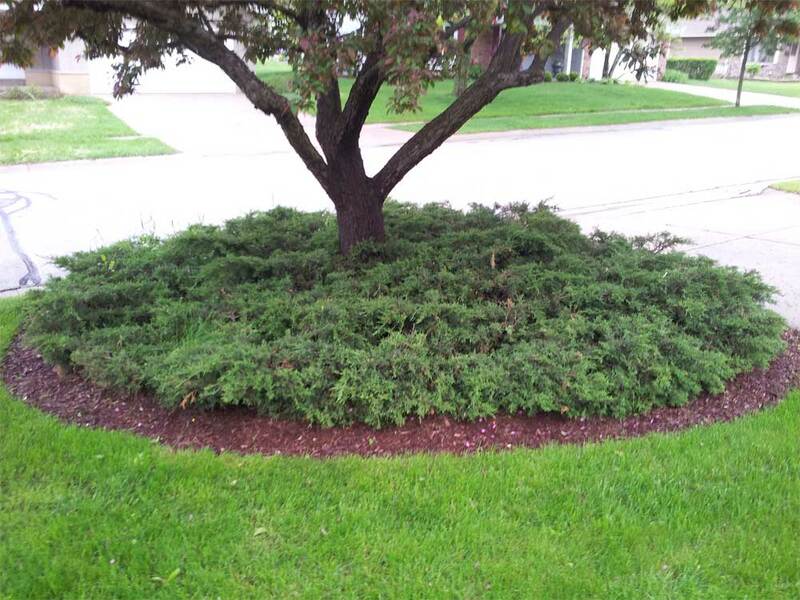 Neglecting a spring/fall clean up can leave your lawn with excessive debris suffocating the turf and other plantings. Below is a range of services we offer to keep your property looking its finest. 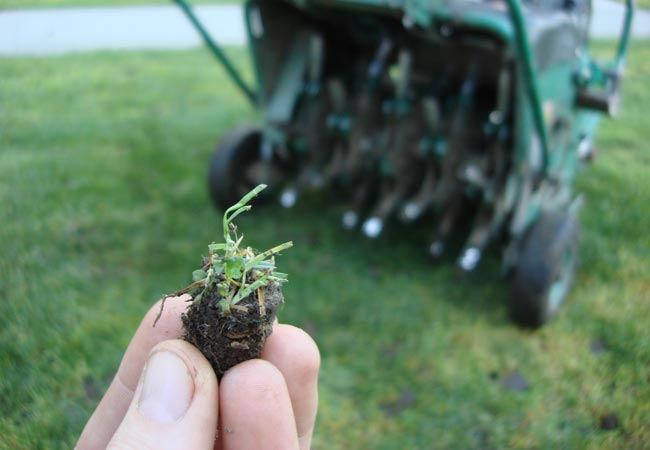 Lawn Aeration is the mechanical process of removing small cores from the turf and soil. 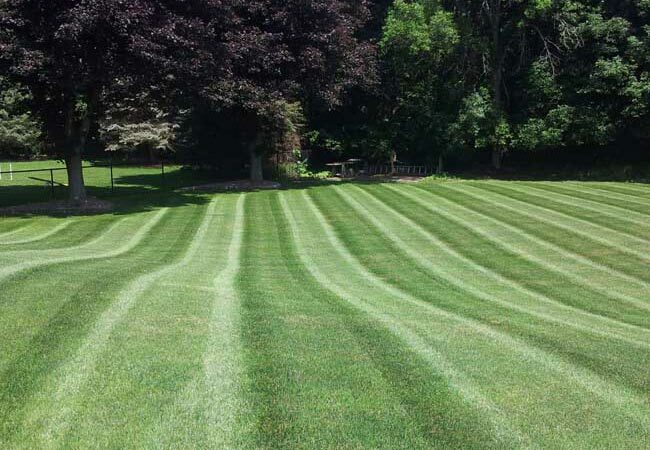 This process is covered over the entire lawn providing many benefits to the turf and soil. Thatch is a layer of decomposing and dead vegetation just above the soil surface. All lawns have thatch layers, and for the health of the lawn it’s good to retain a thatch layer of about a ¼ inch. 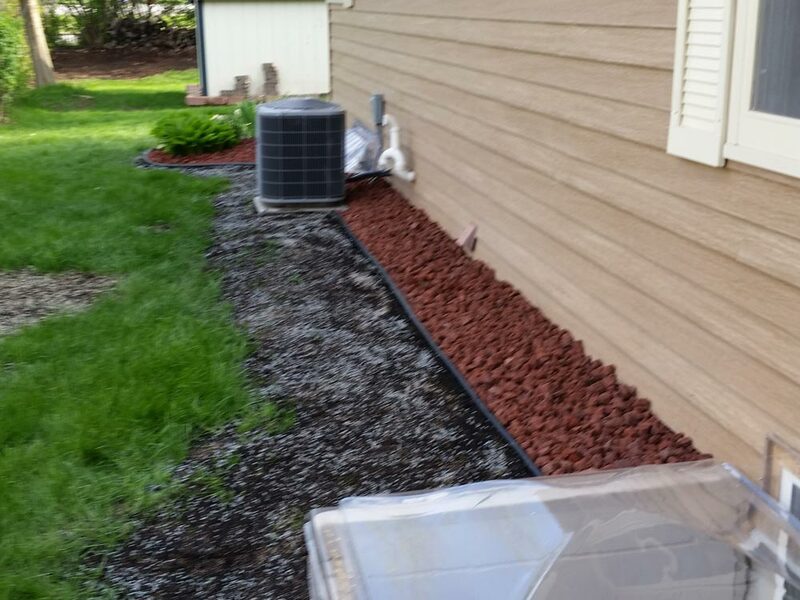 However when this layer builds up to a thickness of a ½ inch of greater it begins to choke out the lawn preventing air, sun light, and water from reaching the turfs root zone. A thickness of a ½ inch or greater also increases the risk of a harmful insect and disease infestation. To remove this thatch layer we use a power rake that combs through the turf down to the top soil surface. This mechanical process will pull up the debris to the top of the lawn. The debris is then collected to be disposed of. 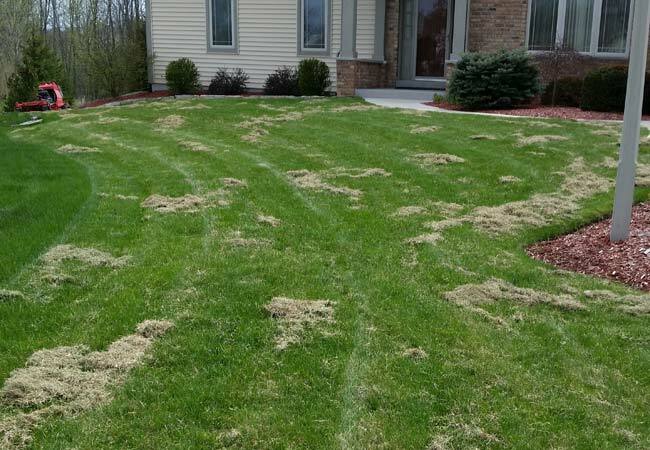 Our lawn care program consists of a granular fertilizer which contains a slow release technology providing a continuous release of nitrogen effective for 6 weeks or more. In addition to while applying the granular fertilizer we apply a blanket spray application of our broadleaf herbicide. This is going to eliminate all broadleaf weeds as well as preventing any grassy weeds from establishing. 1st visit – Pre-Emergence 19-0-0 Granular, Liquid Post-Emergent Broadleaf Herbicide. 2nd visit – 32-0-10 Slow Release Granular, Liquid Post-Emergent Broadleaf Herbicide. 3rd visit – 32-0-10 Slow Release Granular, Liquid Post-Emergent Broadleaf Herbicide. 4th visit – 32-0-10 Slow Release Granular, Liquid Post-Emergent Broadleaf Herbicide. 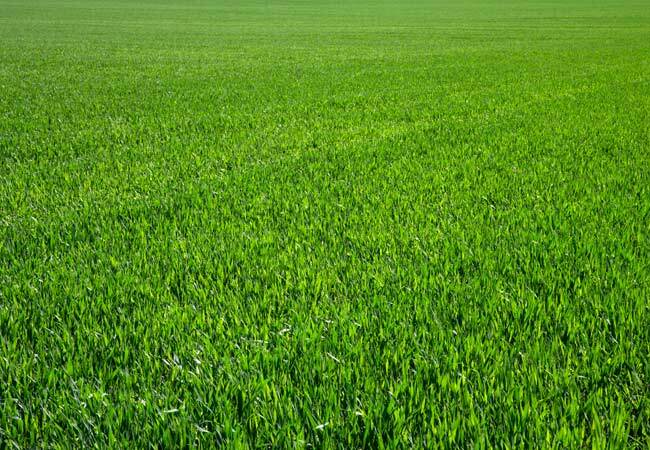 We do not limit our clients to the 4 application program as we provide other insecticide/pesticide treatments as well as treatments for selectively controlling/eliminating unwanted grassy weeds or grass strains. 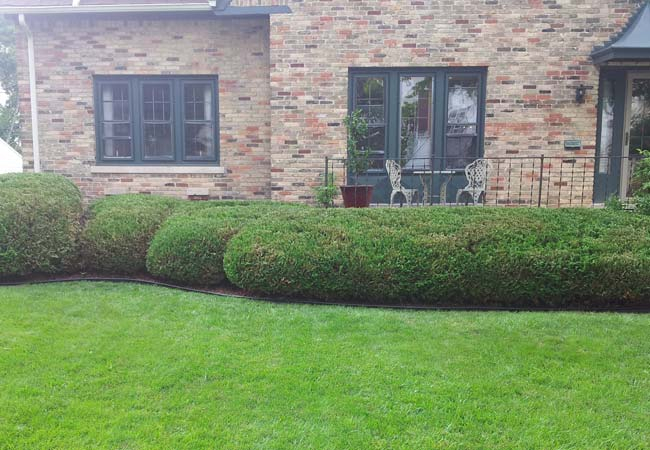 Trimming shrubs on an annual or bi-annual basis is recommended to maintain the health and shape of the plantings. 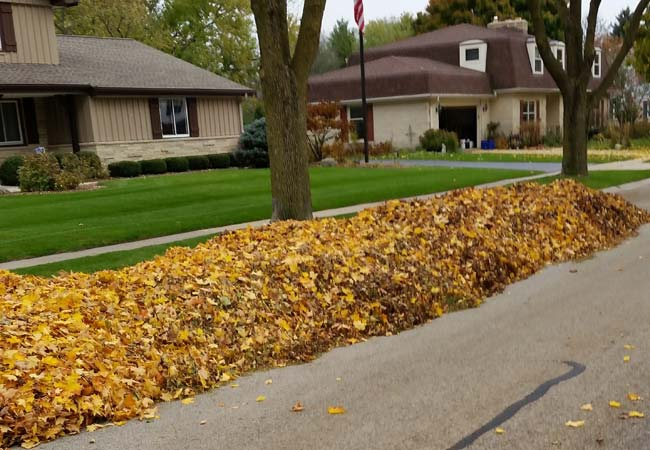 This will help prevent them from becoming overgrown and overtaking a landscape. Selective: Individually pruning parts of each planting to help retain/reduce size while maintaining an informal natural look. Shearing: Typically done with a mechanical hedge trimmer; trimming the outer foliage to a formal geometric form. 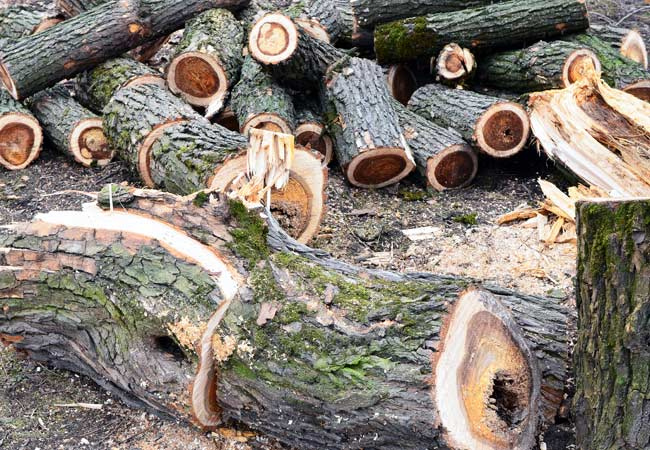 Depending on the location and variation of the tree we can prune or remove trees of up to 30’ in height. Just like any other planting it’s important to keep your trees in check and prune as needed. A typical pruning will consist of trimming any branches not exposed to sunlight, limbs crossing over or rubbing against each other, or branches that do not accommodate the general shape of the tree. Keep your driveway and walkway clear with our snow blowing service exclusive to Greendale. 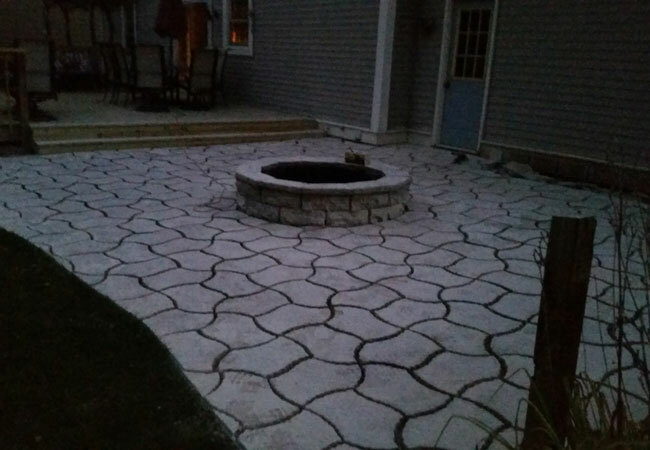 Our reliable and professional service will provide you with a clear driveway when you need it most. 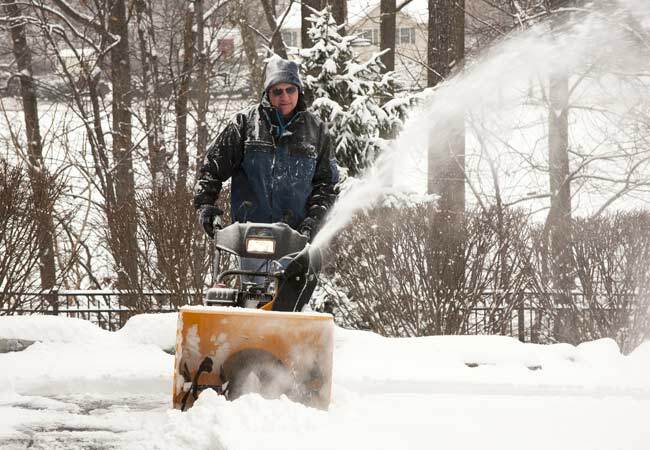 Our schedule revolves around yours, so when you leave for work or in an event of emergency we will be sure to have your driveway clear. In the event your driveway is cleared before the street plow comes through we will revisit your property to address the piled snow on the approach of your drive. 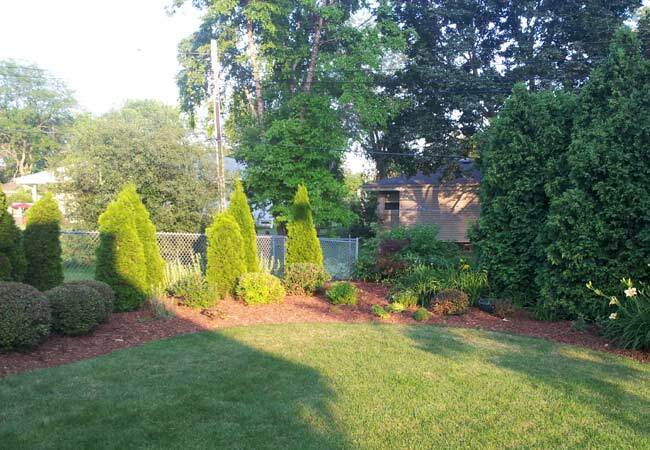 It’s best to give landscape beds an overlay of mulch or decorative landscape stones. This will prevent weeds, prevent soil erosion, and help retain water within the soil. 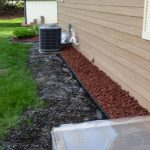 By adding decorative stone or mulch the aesthetics of your landscape will complement the setting of which your plantings lie bringing more color. Step 1: Schedule an appointment to meet and evaluate your property. We recommend you establish a budget for the project prior to our meeting which is necessary to plan for the steps ahead. Step 2: A second meeting will be scheduled where we will provide a proposal of the bed design/plan. In the design we will digitally develop a photo image of the end results of the install. Step 3: After the second meeting any adjustments will be addressed to the plan. Once the proposal is accepted we will provide a projected start date for the work ahead. Step 4: Prior to arriving for any landscape tear out/install all underground utilities will be marked to insure safety. Tear out (if needed) will initially be completed followed by the install. The job site is left clean, neat, and as anticipated. After project completion we will provide a description of the necessary care for each given planting we installed.